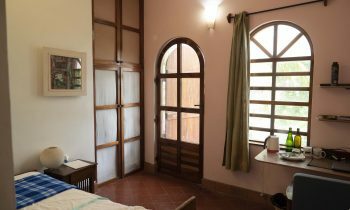 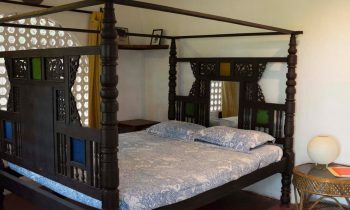 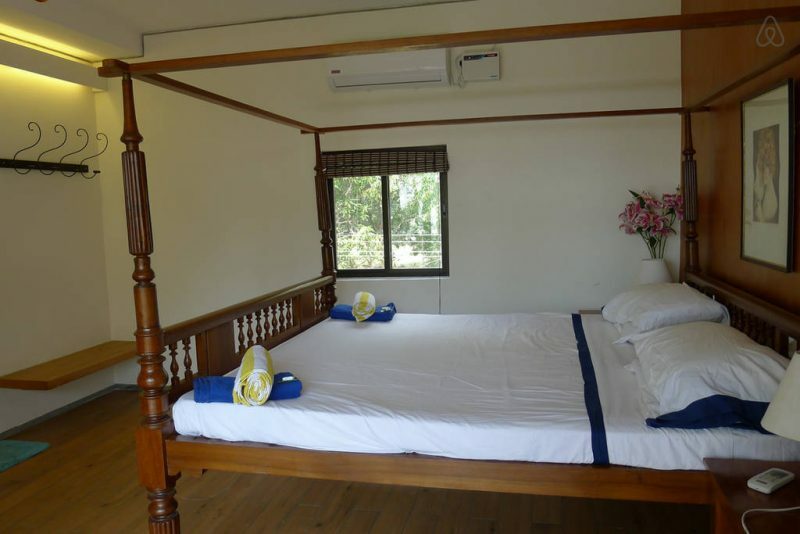 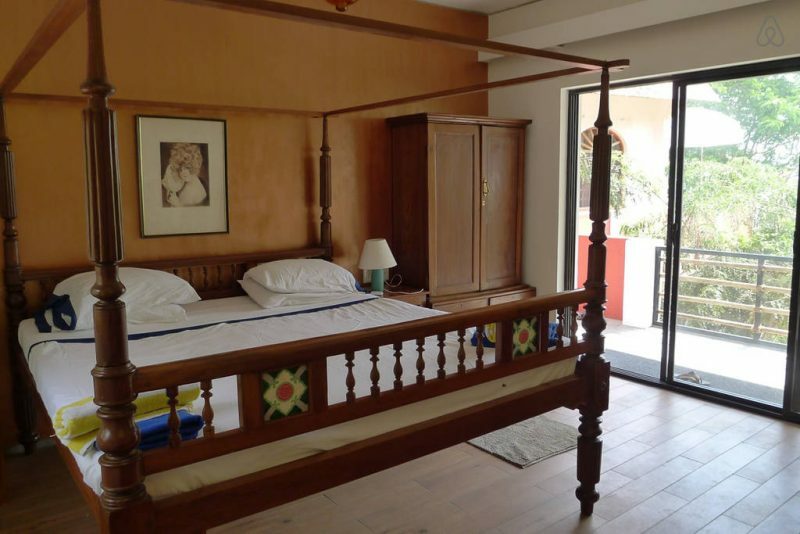 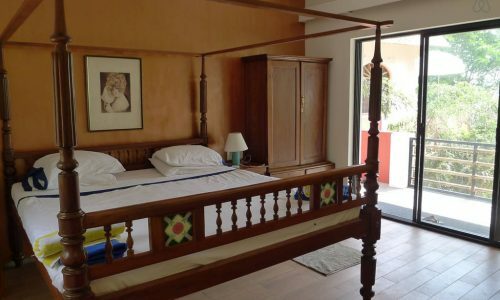 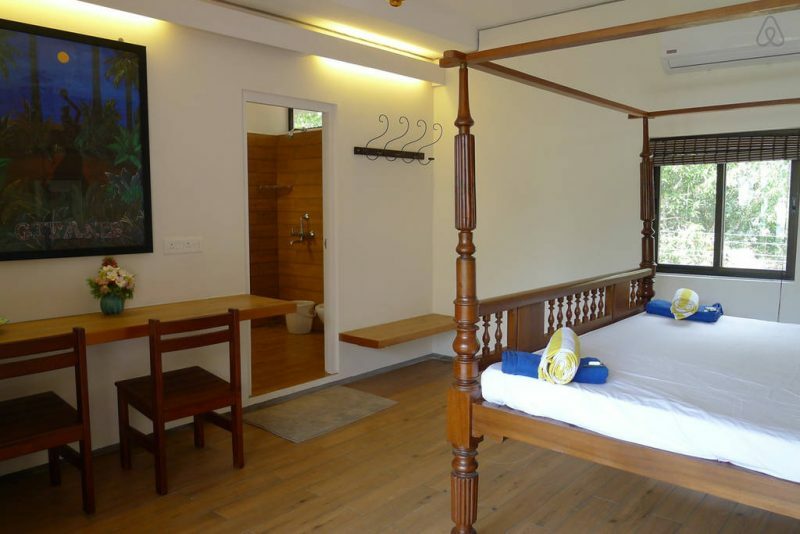 Our new AC double room done in a wooden decor with a 4 poster king sized antique bed and a balcony with some sea view and quiet garden in front. 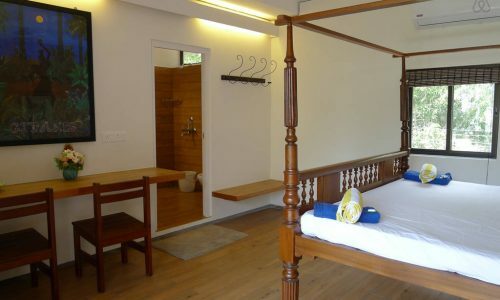 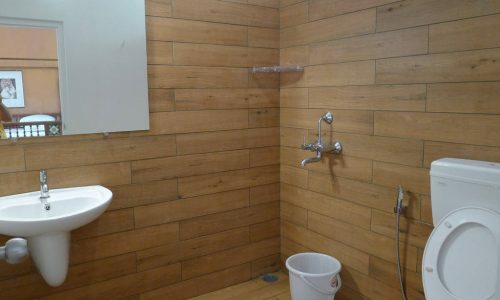 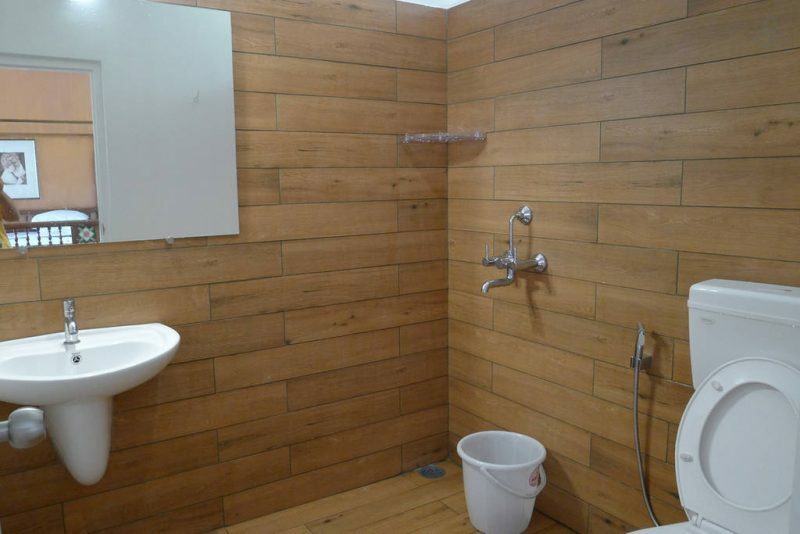 There are two of these rooms side by side, the other having a twin bed arrangement. 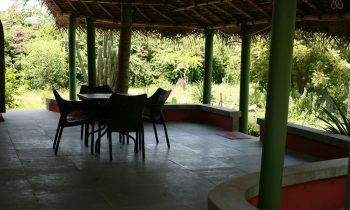 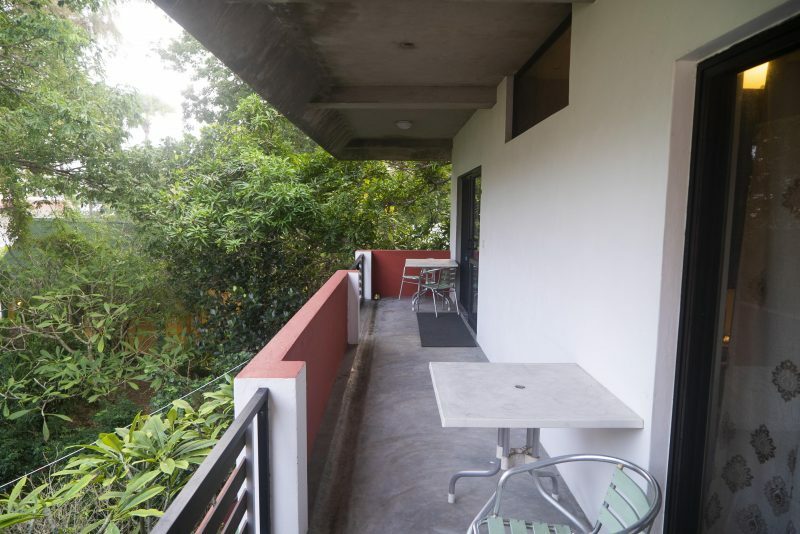 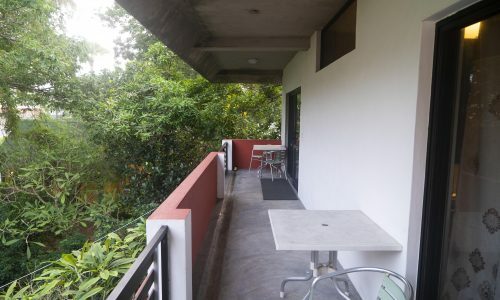 Free parking on premises inside our Auroville guest house area.